These quick fixes to any blog post will encourage it to rank in SERPs (Search Engine Result Pages) - apply these simple tips to both future and past posts. Confused by long-tail and short-tail keywords? Check out Nikki's post on just that. Do not ignore this wonderful beast! Left alone your meta will be a blurb of your first few sentences - urgh. This short description shows up on social sharing, and in Google searches, so once again it improves your SEO if you have great meta. Make sure any images in your post have appropriate alt-text - uploading an image without changing it will result with the alt-text of 'IMG5033' or similar, and this is not beneficial as search engines look for images with alt-text to reinforce the content of the page. Maddy has written a brilliant post on why image-alt-text is important and you can find that here. It is quite natural to be linking to external sites within a blog, but many bloggers neglect to also link internally. Ensuring there a few links that will link to another post / page on your website will increase the blog post's authority and this, in turn, will help your SEO. 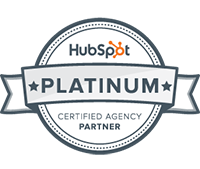 The above is a very quick look at optimisation tips, the post here from HubSpot goes into much greater detail. I hope my tips are helpful, drop me an email or tweet if you have any questions. Blogging helps boost SEO quality by positioning your website as a relevant answer to your customers' questions. Blog posts that specifically use a variety of on-page SEO tactics can give you more opportunities to rank in search engines and get customers to visit your site.